We were invited for lunch by the lovely Kelly (PR Manager for Burger Craft) to review Burger Craft. Whilst we waited for our burgers, Kelly explained about the background to the company and that their beef comes from a farm in Wiltshire. The burgers come in light and fluffy brioche buns, and the burger patties had a lovely flavour profile; but were overcooked after requesting medium (Chiara’s came well done and mine was medium-well done). Also, they lacked salad/ required more dressings. Maybe you could have caramelised onions and homemade tomato relish in pots on the side to allow people to tailor their burgers. Accompaniments to the burgers were chunky chips, hash browns (which reminded me of my younger days!) and picked vegetables they make themselves. These went well with the burgers. Overall, lovely burgers and a great atmosphere in the pub. Enjoyed chatting to Kelly and look forward to seeing you again. 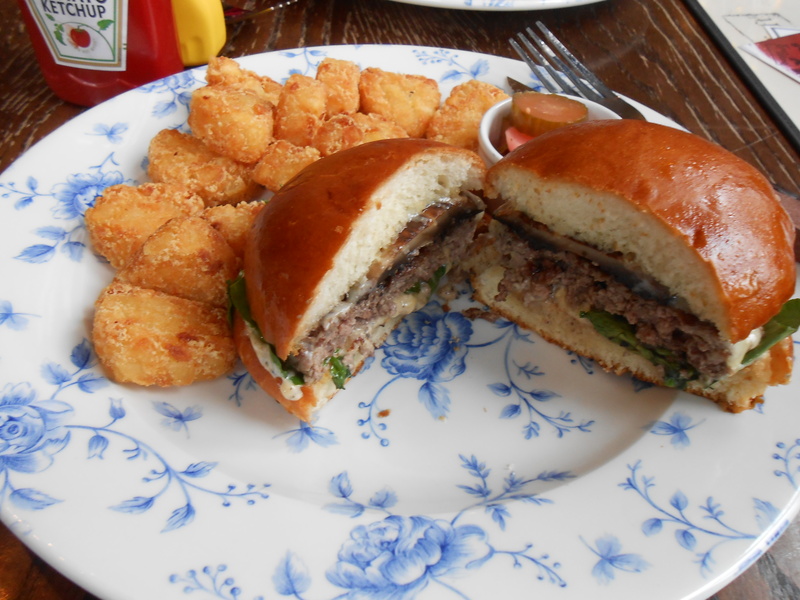 Go check out Burger Craft’s burgers – especially the Truffle Shuffle! This entry was posted in Burger Craft, Burgers restaurants, Edgware Road and tagged bacon, Beef, Burger Craft, burgers, farm, London, pub, The Green Man, truffle, W2, Wiltshire. Bookmark the permalink.